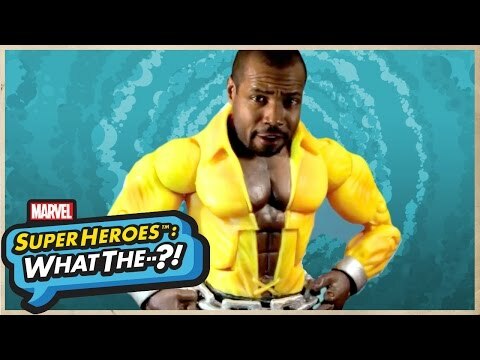 When last we rang up Mr. Isaiah Mustafa for his comics fix he intimated to us his intense desire to play Marvel badass Luke Cage in a forthcoming production. Looks like he got his wish. When Luke Cage… takes a stroll through Avengers Tower, you never know who he’s going to run into in the newest installment of Marvel Super Heroes: What The–?! The Hero for Hire pays a friendly visit to the home of Earth’s Mightiest Heroes–but what do M.O.D.O.K., Sugar Man and Beta Ray Bill have planned? Or perhaps the better question: What does Luke Cage have in store for them?